While cruising in itself is a wonderful vacation, just getting to the ship can be a trip in itself, particularly if the vessel is leaving from an interesting port. It is always smart to arrive at your embarkation port a few days early so that your boarding is not delayed by flights, so that you can get used to a time change and …one of the most important…to make sure that you have all of your luggage when you begin your cruise. These port guides, available exclusively on AllThingsCruise, will give you all the information you need to enjoy a wonderful pre-trip in your embarkation port. These city profiles have been written by veteran travel writer Ray Chatelin assisted by his photographer wife Toshi. 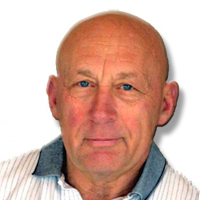 Ray has written or co-authored 14 books and has written for a variety of major North American magazines and newspapers. He and Toshi reside in Kamloops, British Columbia. Visit their website at www.chatelinfeatures.com.